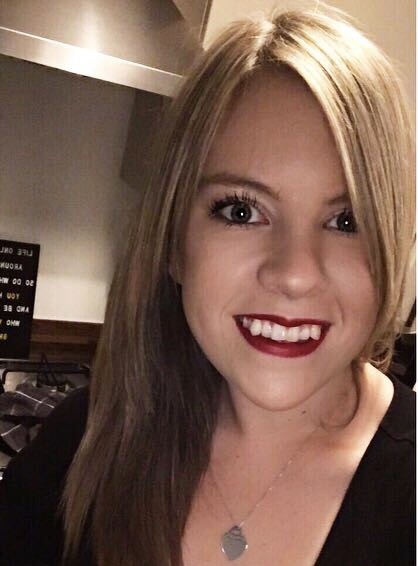 Day 3 of my blog takeover, today we have the lovely Amy, known for her funky outfit posts, gorgeous makeup looks and her cool little profile picture. Hi guys! I’m Amy from Paperbacks & Postcards which is primarily a make-up blog but I also post about fashion and books/films too – basically all the things that a 22 year old girl likes! At the moment I’m really enjoying posting new eye looks that I’ve come up with when playing with my vast collection of eye shadows, and thought I’d show you my favourite eye shadow today and a few ways that you could use it. The eyeshadow in question? MUA Shade 13. 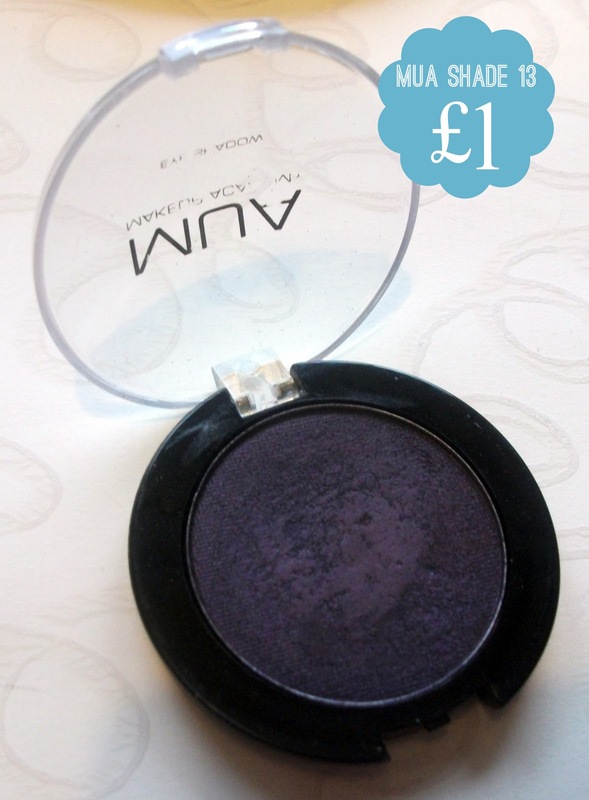 It’s one of the pearl finish shadows and is a lovely deep blackened purple/aubergine. It looks black most of the time but the purple shines through in some lights and looks really pretty! It blends really easily too which is always a bonus! Yep, my favourite eyeshadow is one that cost me £1. Bargain. 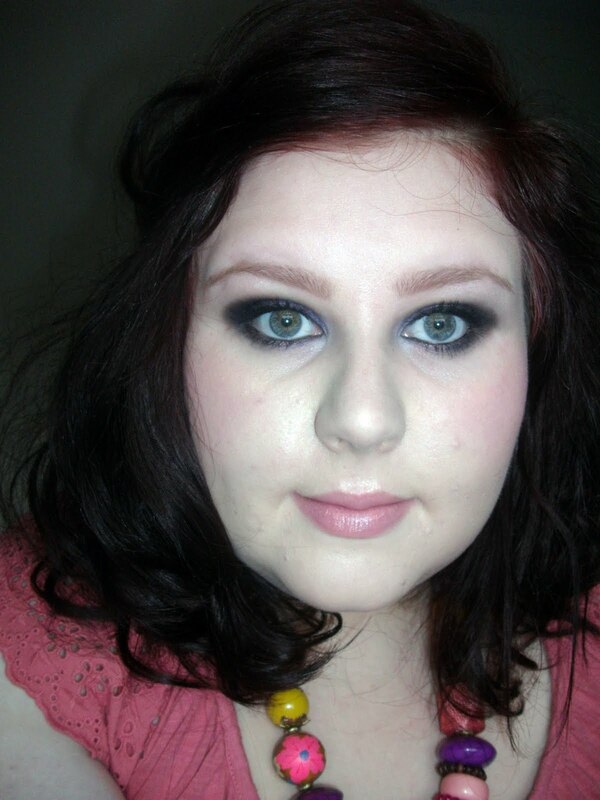 First up I did a dark smoky eye which is my favourite type of make-up to wear on nights out. 1. Pack Shade 13 all over lid up to the crease. 2. Take a Black shadow and place this in the crease & Outer V.
3. Blend this out with a fluffy brush so there are no harsh edges. 4. Take Shade 13 under the lower lashline and blend this out a little. 5. Add a tiny bit of a pale purple shade in the inner corner - to highlight this area. 6. Apply black eyeliner to the waterline and upper lashline. 7. Curl Lashes and apply black mascara. For the next look I decided to create something a bit more interesting, using a gold shadow all over the lid and the purple in the crease. I really like this look as it’s still smoky but bright at the same time. I packed Woodwinked by MAC all over the lid, but any old goldy type shade would be perfect! I added Shade 13 in the outer v and blended this into the gold. I took the purple into the crease a little and blended this out too. Make sure that you don’t go too far in towards the inner eye. I repeated this until the purple was intense enough for me. I then placed some of the purple along the lower lashes, again not going the whole way along the eye. I blended the edges of the purple colour to give a smoky effect. I used a bright gold pigment on the inner corner of my eye to highlight. Finally I added black eyeliner to the waterline and some black mascara. So, there we have it. 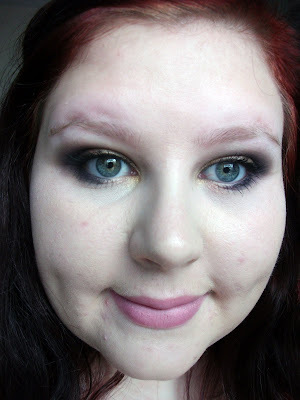 Two eyeshadow looks using my favourite eyeshadow – MUA Shade 13. I hope you liked them and if you’d like to see more eyeshadow looks do check out my blog – Paperbacks & Postcards. Thanks to Jade for letting me take over her blog for a bit! I love these looks the colour in the first look is beautiful, you are so good! I wish I had your make-up skills!